We were brought in to design/layout the clients age verification page for the US product launch. 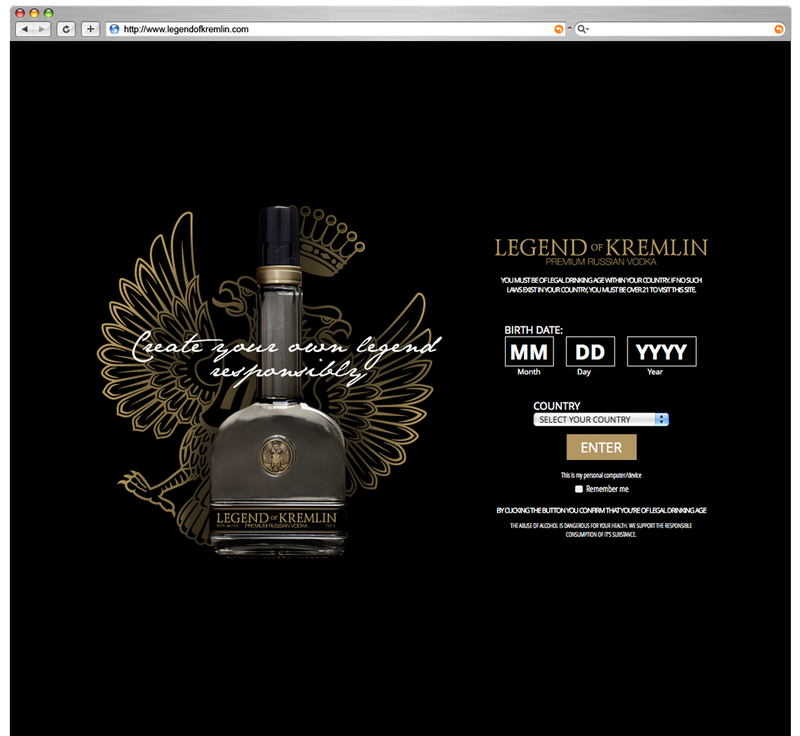 Legend of Kremlin is one of Russia’s most luxurious pure grain vodka. 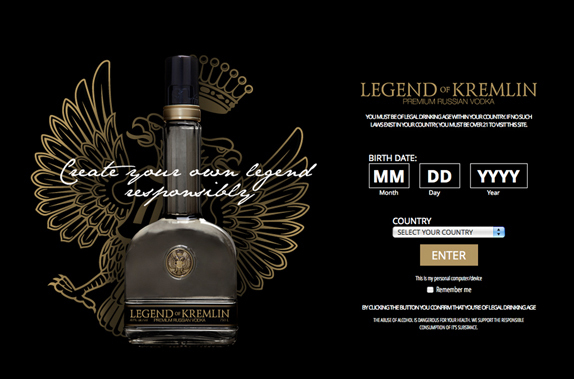 Produced with ‘Lux’ natural grain spirit containing 96.5 per cent pure alcohol, and combined with soft spring water from the distillery’s own artesian well, Legend of Kremlin is the only vodka in Russia still made in traditional copper vats – partly responsible for its distinctive texture and rich, slightly oily taste.